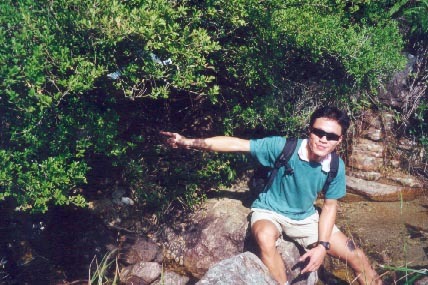 Kau Ling Stream is a rather remote stream. There is no public transport that comes close to its entrance. 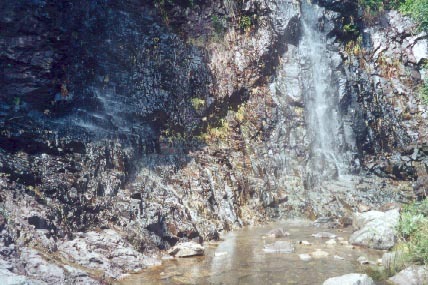 It embraces two sizable and exposed waterfalls. However they only exhibit their beauty after rainful. 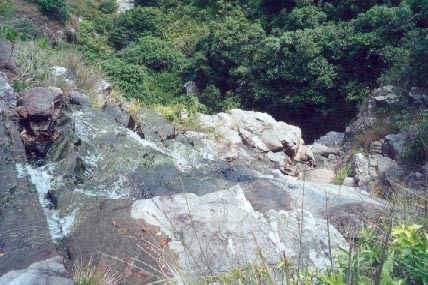 This stream does not collect much water from nearby valleies. 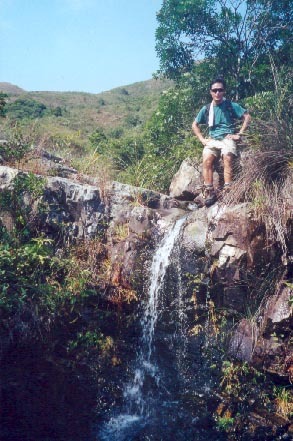 This is the entrance of this stream on Lantau trail. One can get over the fence and stay on the right side to scale up this short water curtain. 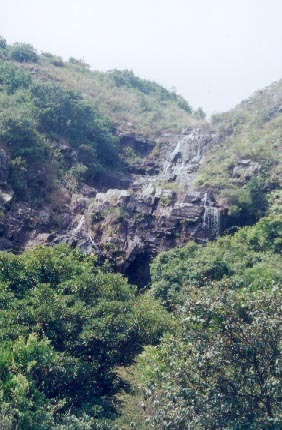 This is the main waterfall of this stream. 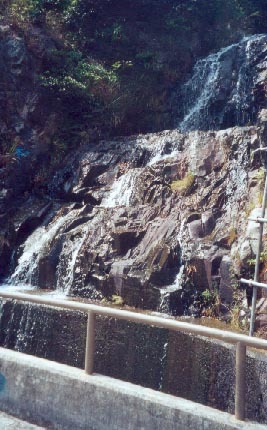 It is the heel of the main waterfall which is approximately 30m in height. It looks like an invincible giant when looking up the waterfall here. To conquer it, you can take the steep path on your left. This path is the most challenging section of this journey. It is steep and narrow. At certain point you have to creep on the edge of a cliff! 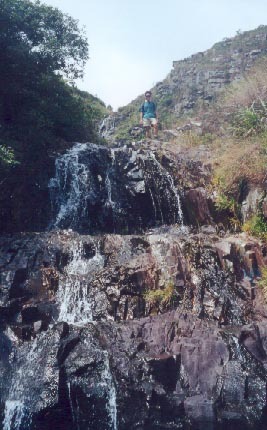 Here is the top of the main waterfall. 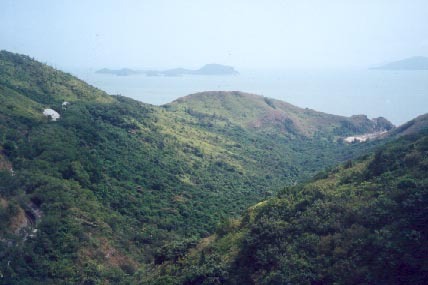 The far-view is the South China Sea. When you look down, you can see water rolling down the vertical waterfall. Here you reach a junction, take the left please. 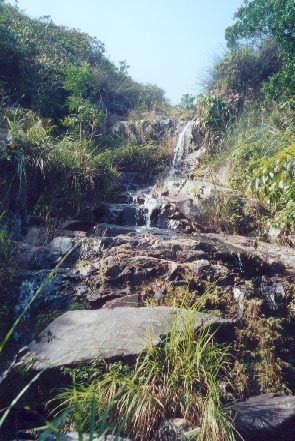 Description : This is another short cascade. Here you should take a right turn to visit a gorge, called Dog Tail Gorge (狗尾峽). The stream eventually gets smaller and smaller. Finally you will find yourself end up in bushy hillside. 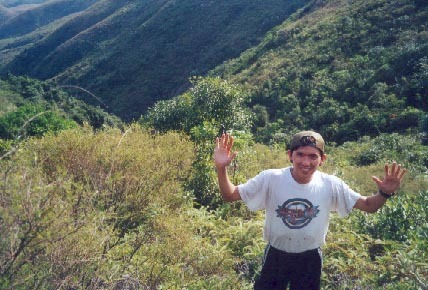 After struggling in bush for some time, you can find a small footpath bringing you back to the main trail.